Islands off the coast of large cities often have a dubious history. Historically, they are where we send societies undesirables (think Robben Island, Alcatraz, Rikers!). Rottnest is no exception. Shortly after European colonisation of the island in 1829, Rottnest became a prison island for the indigenous Aboriginal people. Now, it is where Australians send the new undesirables; the tourists! Recently, I made my first visit to the island via Rottnest Express, the islands foremost ferry operator. It exceeded all my expectations, and probably one of the most enjoyable things I’ve done since living in Perth. 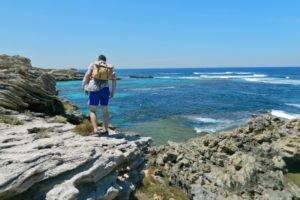 Everything is touted as a ‘MUST DO’ these days, but for me Rottnest cannot be missed. 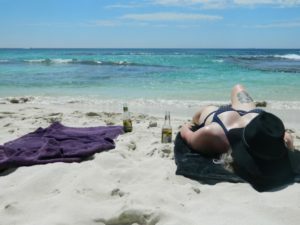 Here are 5 things I learned on my maiden voyage that will make your visit to Rottnest that bit more enjoyable and I think should be added to any Rottnest Island travel guide! RENT A BIKE: Upon booking you might be suspicious of add ons. Fair enough, if you really don’t want the snorkel or the Subway lunch you can do without. But get a bike. 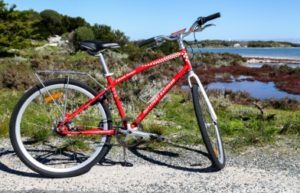 Rottnest Express will have it waiting for you as you disembark the ferry and off you go, free to explore the island at your own pace and as per your own schedule. A bike is an essential! CHOOSE YOUR PATH WISELY: Rottnest is bigger than I thought. A full loop of the island is 22 km (3-5 hours). The roads are well paved and it’s not mountainous, but there are some hills. A 5 hour bike ride in Perth’s glaring sun can quickly turn into a feat of endurance rather than a leisure ride. We went for the 10km route, which loops inland after Salmon Bay and found it perfect for a day trip. Pick your route to suit your pace! WATER, ALL THE WATER: Water fountains are few and far between on Rottnest. Drinking water is mostly centred around the main settlement (Thomson bay, Kingstown Barracks). 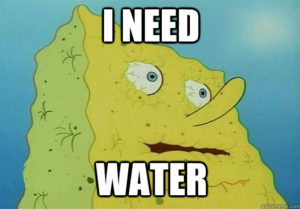 Don’t get caught out 15 km from a drinking fountain without a bottle. Bring as much as you can. It will make life a lot easier. FIND YOUR OWN BEACH: There’s some beautiful reef around the island, perfect for snorkelers of any skill level. If you just fancy a swim, the beaches at Parakeet Bay, The Basin and Little Armstrong Bay come highly recommended. However I’d encourage you to be adventurous and find that tiny stretch of white sand behind a rock or in a cove that you can have to yourself. Grab a couple of beers from the general store… paradise. Find a quiet spot to relax. 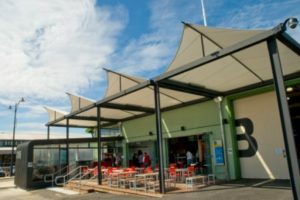 CATCH THE FERRY FROM B-SHED: There is an option to leave from Barrack St. jetty in Perth city, and although the cruise down the Swan River to Fremantle might be enjoyable there are some disadvantages. For one, it costs more. It obviously takes longer too, with a number of stops along the way. And the timetable is limited. I’d recommend grabbing the train (20 minutes) from Perth Stn to Fremantle Stn. From Freo Stn. It’s a 5 minute walk to B-Shed (go right out of the station, follow the tracks, and cross towards the warehouse shed with the large B painted in red on it). Your ferry will now be a direct 25 minute transfer to Rottnest. On your return you will have more timetabled departures to choose from, scheduled right into the late afternoon. B Shed is where we recommend to catch ferry from. – Written by Adam Burke, our weekend manager. The Emperor’s Crown Hostel is a clean and modern hostel offering high quality and affordable accommodation to backpackers and budget travelers.